Comprehensive, detail-oriented, and immaculate are three essential characteristics of a high-quality commercial landscape services provider. You deserve to work with a company that infuses these adjectives into every aspect of their commercial landscape architecture and maintenance offerings. GroundsCare Landscape designs, maintains, and cares for our clients’ entire properties. Using high-quality commercial landscape plants, sustainable materials, and modern equipment, we create outdoor spaces that balance beauty and function. You can view one of our CAD videos below. Our landscape services team holds an array of professional affiliations and certifications from nationwide organizations such as the Professional Landcare Network (PLANET), the Landscape Contractors Association, and the Interlocking Concrete Pavement Institute (ICPI). Because our design crew, safety managers, and construction managers are all in-house, our clients never have to deal with the hassle of sub-contractors. We also provide our commercial property clients with 24/7 direct access to members of our upper management team. 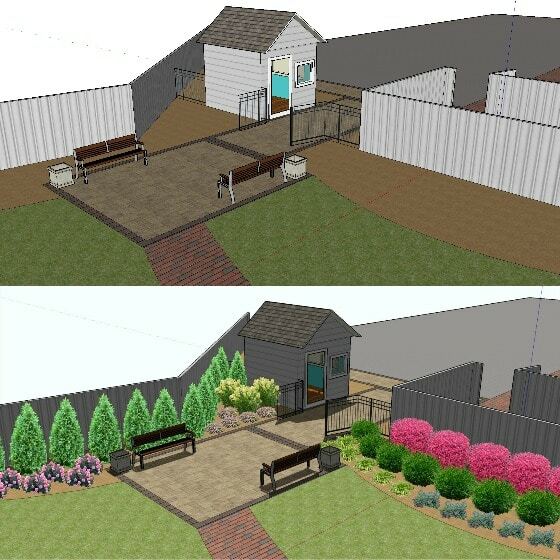 We use intuitive software to design our clients’ landscape before construction begins. We then utilize industry-leading techniques and cutting-edge technology to make our fleet tracking and management process more efficient and cost-effective. A primary factor that sets GroundsCare apart from other landscape architecture and maintenance firms is our hybrid approach; a unique blend of big-business service capabilities and a small-business emphasis on customer service. To discover how the GroundsCare difference could benefit you, fill out the form to the right or give us a call today at 888-588-8451.